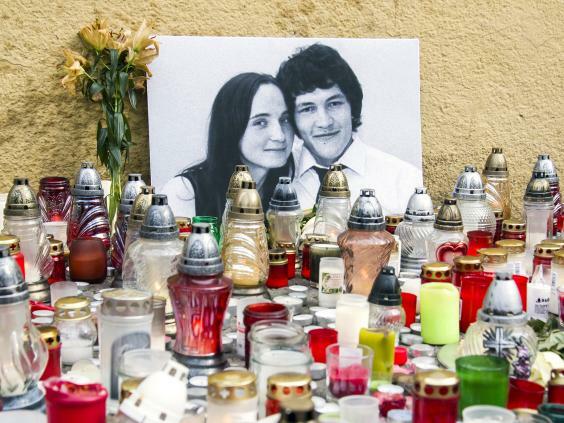 The shock of Slovak society after the murder of journalist Jana Kuciak and his girlfriend is enormous. No wonder. Killing a journalist is a crime that occurs only in societies suffering serious problems with how democracy works. That’s why we can be glad that similar scenes have been avoided so long as we leave out one case from the early 1990s. The indignation of the Slovak scene is, however, a serious warning or warning to Bohemia to try to avoid such developments. The local conditions are not so different and may hide similar dragon eggs. Slovak crackling is deeper than the shock of the murder of two young people. The point is that one of the murderers is a journalist and he was doing his job, specifically trying to control the use of public money. Slovakia resembles the Czech Republic by having a large amount of subsidy money due to European funds. And what is essential is that a large part of this money is redistributed to private companies. This approach itself is controversial. State authorities or politicians decide that the public interest is best provided by a private company that has made money for that purpose. At the core, this consideration does not make sense, but tens of billions of crowns are distributed annually at its base, as part of agricultural support and support for underdeveloped regions. However, the models under which these subsidies are redistributed are controversial. Usually, a redistribution model will be created to automatically allocate money to those who fulfill its terms. Often it can be a company that is itself rich enough, yet still receives support that can bring it a competitive advantage. The public interest in such cases is not even the slightest. Of course, this way of redistribution attracts even the largest companies that state aid does not need, as well as organized crime, as we have seen in Slovakia. In particular, the state should be particularly scrutinized by private companies to check that they are genuinely interested in the public interest. The state does not usually do this because it is subject to the lobby of large companies, not to mention the personal acquaintances of influential politicians and entrepreneurs. In such cases, journalists are blamed for government, and unfortunately, in Slovakia and the Czech Republic, they find themselves exposed by politicians themselves, for example, by denouncing them as corruptors, prostitutes and the like. If a journalist is murdered in this situation, then he can not get rid of the impression that politicians are on the side of large corporations or even organized crime. In such a policy failure, it is possible to look for the core of the Slovak public. It is necessary to admit that similar failures occur in the Czech Republic even though they do not yet have fatal consequences. Yet they require a response, because there is no point in waiting for a murder to occur here. It is quite clear what the state administration should do. In particular, it could carry out a rigorous scrutiny of subsidies to private firms and publish results that would show why such subsidies are good. Then it would be appropriate to cancel or limit such subsidies to the smallest possible extent. So if nothing happens after the Slovak murder in the Czech Republic, we will know that in our country the connection between state and private companies is stronger than it is for citizens safe.